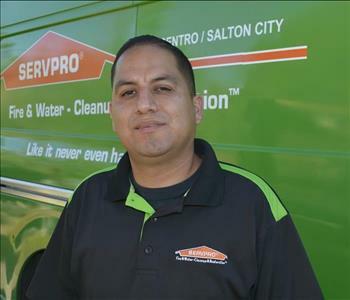 Andy Alvarez is the Owner of SERVPRO of El Centro/ Salton City. He has a deep passion to assist businesses and families after a water or fire damage event. 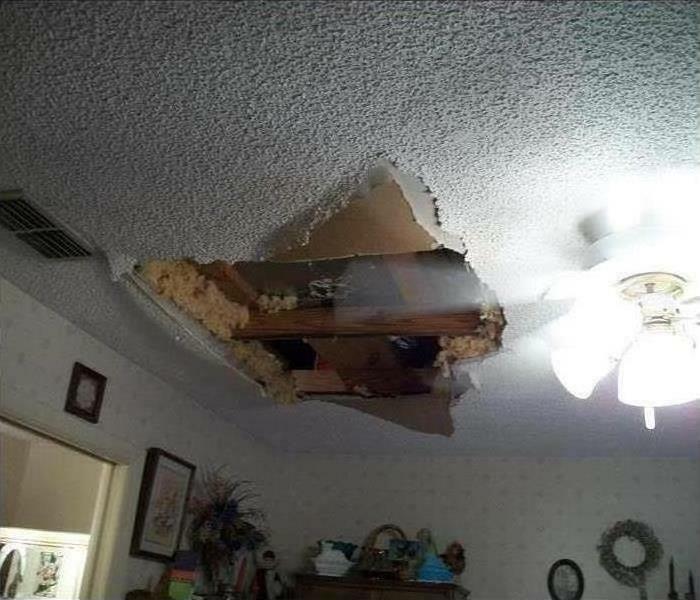 SERVPRO is also licensed in the state of California for asbestos and lead removal. Along with his wife, Andy proudly exemplifies our desire to meet and beat our customer's expectations. 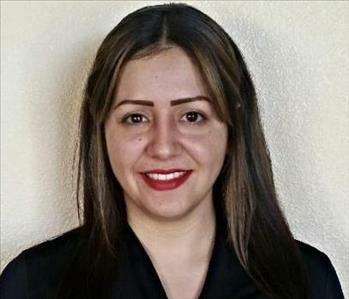 Karina Alvarez is the Controller for SERVPRO of El Centro/ Salton City and is co-owner with her husband, Andy. Their teamwork inspires the office staff, the sales reps, and the technicians to provide exceptional service and results for our clients and customers. 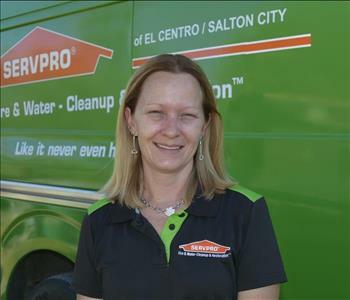 Amber Chase is the General Manager for SERVPRO of El Centro/ Salton City. She works closely with the owners, staff, and field technicians to ensure schedules are met, compliance is maintained, and our customers are pleased with the results of our work. 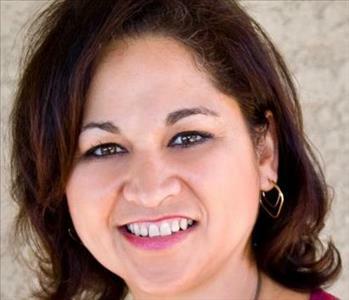 Noreyda Silva is the Accountant for SERVPRO of El Centro/ Salton City. She is skilled in various software programs to expedite and accurately attain accounts receivable and payable. Noreyda knows how to balance the books. 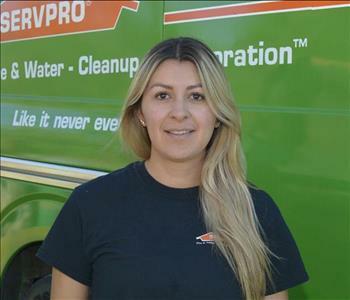 Karla is a technician at SERVPRO of El Centro/Salton City. She can assist our clients with water and fire & smoke damage cleanup and off-site cleaning. 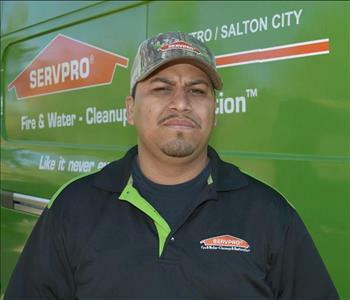 Danny is a technician at SERVPRO of El Centro/Salton City who can be counted on for great service. Whether fire, mold or a water problem, he gets the job done. 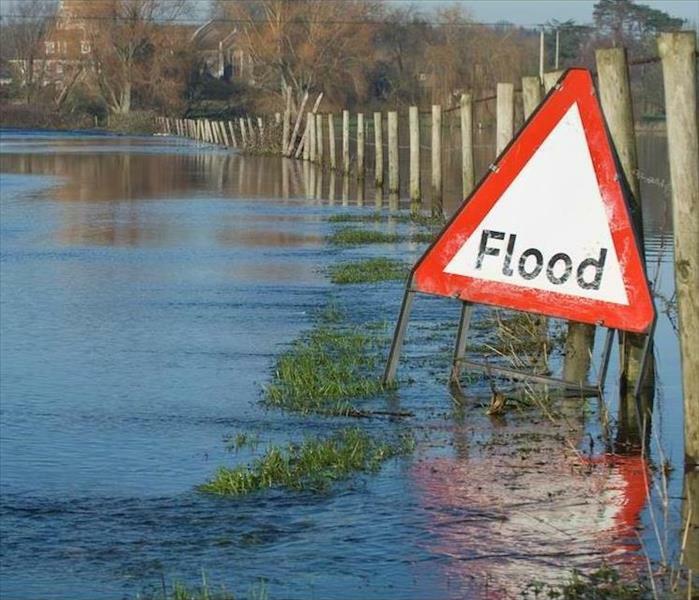 John is a Production Technician who is highly skilled in water damage restoration and is excellent with explaining our processes and communicating with customers. John has been with us several years and is a valuable employee. 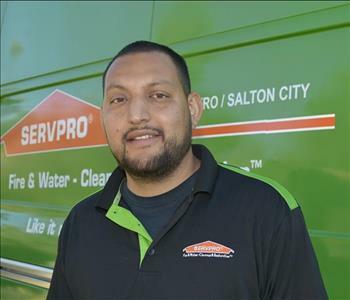 Joel is a technician at SERVPRO of El Centro/Salton City and is always ready to help our team members and also to keep our customers informed of the progress to relieve their stress. 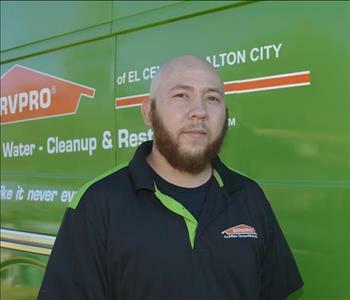 Christian is a technician at SERVPRO of El Centro/Salton City who can assist with hazardous waste cleanup like Asbestos along with water and fire restoration projects. 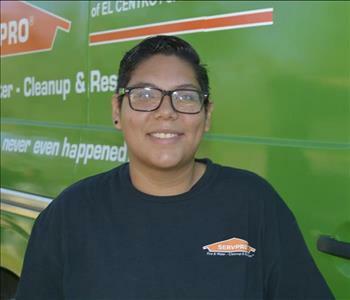 Priscilla is a technician at SERVPRO of El Centro/Salton City. She aims to please our customers, leaving them satisfied and feeling "Like it never even happened."